Finance Committee approves state budget for 2015-2016 despite difficulties imposed by the opposition. The Finance Committee on Sunday night approved the state budget for 2015-2016. The budget now has to be approved in the Knesset in its second and third readings, and a vote on that is expected later this week. The state budget for 2015 will stand at 383.86 billion shekels. The budget in 2016 will amount to 424.81 billion shekels. The discussion at the Finance Committee was stormy and at its peak, the members of the opposition angrily left the discussion during the final vote, in protest at the way many sections in the budget were modified by the Treasury in order to accommodate coalition agreements, the demands of the Finance Committee during the work on the Arrangements Law, and agreements reached with regards to the defense budget for 2016. The opposition members expressed outrage at the fact that, due to lack of time, Treasury officials presented some numbers orally, without presenting them in writing, and asked to postpone the vote until Monday when the revised budget books will be placed in front of them. Finance Committee chairman MK Moshe Gafni (United Torah Judaism) rejected the opposition’s claims, noting that despite the many changes introduced in the budget, all committee members were given the full details of the changes, and adding that contrary to votes on past budgets, voting was carried out on each article separately including the full details of its components. The votes on the budget was preceded by drama surrounding the defense budget for 2016, which was rejected by a joint committee made up of members of the Finance and Foreign Affairs and Defense Committees. It was later decided following negotiations that the defense budget for 2016 will be 56.1 billion shekels and will grow through the addition of another 3 billion if the defense system will fulfill the commitments arising from the conclusions of the Locker Commission, which called for massive cuts in the IDF’s budget. 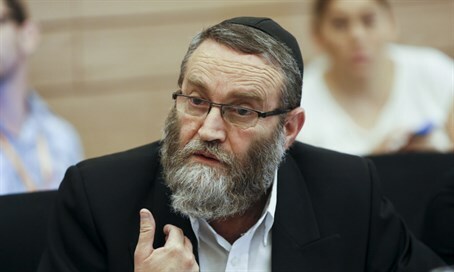 Gafni said on Sunday night following the approval of the budget, "I am proud of what the Committee has done in the Arrangements Law and the Budget Law. We are presenting the Knesset with an Arrangements Law and a Budget Law that respect the Finance Committee and the Knesset. A Budget and Arrangements Law that will benefit all citizens." He expressed frustration with the opposition’s behavior during the votes on the budget, despite the fact that he addressed many of the opposition’s concerns. "We passed an Arrangements Law that did not leave the room the way it entered. We proved that we are not a rubber stamp. We made amendments and changes in the public interest but the opposition behaved unfairly to me, after I gave them everything they asked, they carried out a filibuster that contributes nothing to public welfare,” said Gafni. "We did things that benefit the public: 75 million shekels in grants to doctors in the periphery, mortgages with better interest rates for those entitled to them by the Ministry of Housing, we took care of orphans and other social goals of importance. However, the opposition did not act fairly by leaving before the final voting, claiming there was a coup. What coup are they talking about? A budget has never been approved in such a clear and detailed manner,” he added.